Nigel Pulling, Chief Executive of the Yorkshire Agricultural Society said leaving Europe would be a "leap in the dark"
Professor Wyn Grant of the University of Warwick and the Farmer-Scientist Network, product the report for the Yorkshire Agricultural Society, which runs the Network. It looks at impacts on the single farm payment, regulation, plant protection, world trade, animal health and welfare and migrant labour. The Professor, and the working group behind the report, said they hope it promotes debate on key farming issues that will be affected by an in-out referendum on EU membership, which has been promised by the Prime Minister before the end of 2017. Speaking at the Oxford Farming Conference in January, Environment Secretary Liz Truss said there is no "Plan B" should the verdict be to exit Europe, which Prof Grant said made discussion all the more relevant. Discussing the report’s main findings ahead of its publication on Thursday, Professor Grant said it was hard to see any advantage to British farmers in leaving the EU. In the event of a "yes" vote, the lack of contingency planning by the Government would inevitably lead to a period of great uncertainty, the Professor said, which he judged would last at least two years, as the new regime took shape, making medium and long term planning for farmers extremely difficult. Most farmers' concerns centre on the effect any decision would have on EU farm subsidies. Against a backdrop of falling farm incomes, subsidies can make the difference between running at a profit or a loss. Without these payments the future of many farm businesses would be in jeopardy, warned Professor Grant. "There is a perception in the industry that leaving the EU would reduce the burden of regulation. I do not think there will be a bonfire of regulations… There are legal complexities which have not been considered." Looking at regulation, Prof Grant said that in an independent Britain “Powerful and influential lobby groups” would “have a louder voice in a smaller arena,” and British farmers would not have a large pool of European counterparts to rely on for support; currently, the farm lobby, bolstered by agricultural powerhouse France gives farmers a voice on the European stage. As EU countries are the main destination for British exports, the country would still have to abide by EU regulations if it wanted to continue to export to Europe after exiting the union. The likely introduction of import tariffs on British goods and border controls would all have an impact, Prof Grant said, making British goods more expensive. Commenting on Tuesday, Nigel Pulling, Chief Executive of the Yorkshire Agricultural Society said leaving Europe would be a "leap in the dark." Pulling said, ”While there is some dissatisfaction with Europe there is at least certainty. What this report has highlighted is the complexity of the number of different issues we are facing, but the Government hasn't filled in any of the blanks. 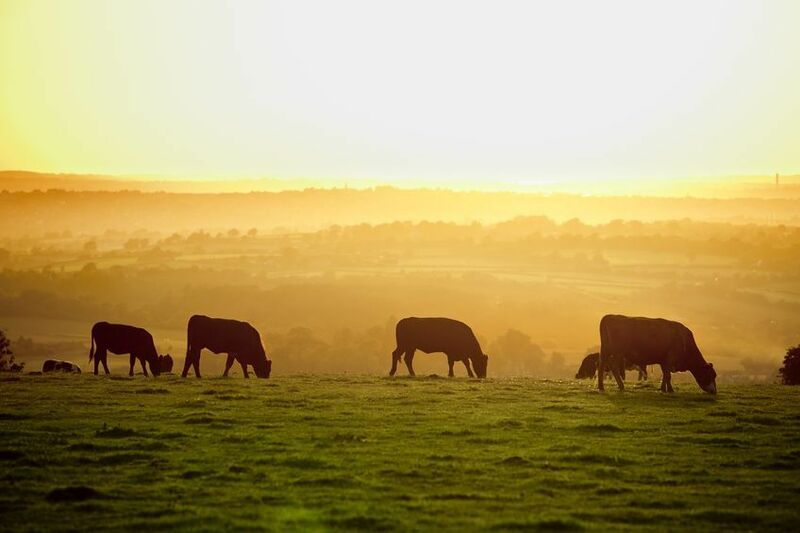 A real concern is that in any negotiations, agriculture would suffer against other sectors such as financial services and the pharmaceutical industry which make a greater contribution to the UK's GDP, but what could be more important than the food we eat."